Everyone knows that “Frozen” was inspired by Norway — whether they’ve seen the hit movie or not. But did you know that “The Adventures of Winnie the Pooh” was also inspired by a certain forest in England, or that you can actually visit a life-like version of Riley’s brain from “Inside Out”? Consider one of these real-life Disney movie destinations for your next family vacation. "Frozen" takes place in the fictional land of Arendelle, and while Arendelle isn't real, the village that inspired it certainly is. 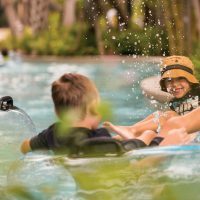 Families can plan an itinerary of their own, or try Adventures by Disney's ultra-popular eight-day/seven night excursion. This all-inclusive vacation (hotels and meals are covered in rates) features a visit to Bergen, the real-life Arendelle; exploration of the country"s most famous fjords; river rafting; trout fishing; folk dancing (just like Anna! ); historic church visits and more. 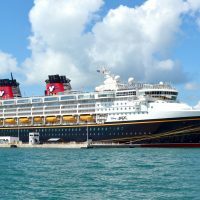 Another option is Disney's 7-Night Norwegian Fjords Cruise (Disney Magic), which departs Dover, England for several ports in Norway, including Bergen, plus "Frozen"-themed excursions. Half the fun is the ship itself, which features meet-and-greets with Anna and Elsa, stage shows, and deck parties with "snow." There's a lot of history in Jamestown and Williamsburg, Virginia, and it includes the story of Pocahontas. Disney's movie is largely different than the real-life version, but you can take the kids to Historic Jamestowne to see where Pocahontas married John Rolfe (John Smith) and check out "The World of Pocahontas, Unearthed," a relatively new exhibit that explores the relationship between the English and the Powhatans. Did you know "Alice in Wonderland" was real? Alice Liddell lived in Oxford, England, and inspired Lewis Carroll to pen the 150-year-old tale, now a major motion picture with a sequel, "Through the Looking Glass," to debut later this year. A walk through the grounds of Oxford's Christ Church instantly transports families to the film, with sightings of a secret door in the garden, and another garden beyond it, perhaps the inspiration for the Mad Hatter's ongoing tea party. There's also an ornate stain-glass window dedicated to Alice in the Great Hall (the dining room that inspired the one at Hogwarts in the "Harry Potter" films), a local gift shop dedicated to all things "Alice in Wonderland," and an annual festival in her name. Yes, the Hundred Acre Wood is a real place. It's inspired by England's Ashdown Forest, where writer A.A. Milne lived and penned "The Adventures of Winnie the Pooh," now a movie for kids. Visitors can actually stop by Winnie the Pooh's House at Aldenham Country Park, along with The Heffalump Trap, Galleon's Lap and Roo's Sandy Pit. You can also visit Pooh's Corner Shop and Piglet's Tea Room! Oahu's famed North Shore and various parts of Kauai inspired the backdrop for Disney's "Lilo and Stich." But one Kauai village in particular stands out in the film: Hanapepe. The inspiration for Lilo's hometown, Hanapepe is an old town, largely untouched since World War II. The Hanapepe Swinging Bridge is a must for photos (though you can't actually cross it), as are the quaint cafes and shops that line the town. You've probably seen photos of Tuscany or heard about the region's world-famous wine, but did you know it also inspired "The Adventures of Pinocchio"? The book's writer, Carlo Lorenzini, lived in the village of Collodi, where his family worked for a marchioness. Today, families can visit Pinocchio Park, where they'll find statues of the tale's beloved characters, along with the dogfish shark that swallowed Geppetto -- climb inside! Other features include an ivy maze, giant chessboard and a castle of ropes. France's Loire Valley is world-famous for jaw-dropping chateaus, but one of them stands out among the rest: Chateau du Chambord. If it looks familiar, that's because you saw it in Disney's "Beauty and the Beast." Families can tour the beautiful estate, surrounded by a moat, and envision Belle with her Beast, dancing around the grand ballroom. Of course, "The Princess and the Frog" takes place in New Orleans -- it even has a jazz-themed original song called "Down in New Orleans"! Kids can experience the city like Tiana, with riverboat swamp cruises, explorations in the French Quarter, and beignets! If you visit during Mardi Gras like she did, you can experience kid-specific parades and events. Disneyland's Sleeping Beauty Castle is inspired by Neuschwanstein Castle in Germany, but the real story may be inspired by another castle along Germany's Fairy Tale Route (yes, there is such a thing): Castle Sababurg. While there's no proof the story took place at this castle, now a hotel, the staff celebrates the beloved tale/movie with weekly performances of "Sleeping Beauty," fairy tale-themed scavenger hunts and seemingly endless rose gardens. Have kids who love "Cars"? 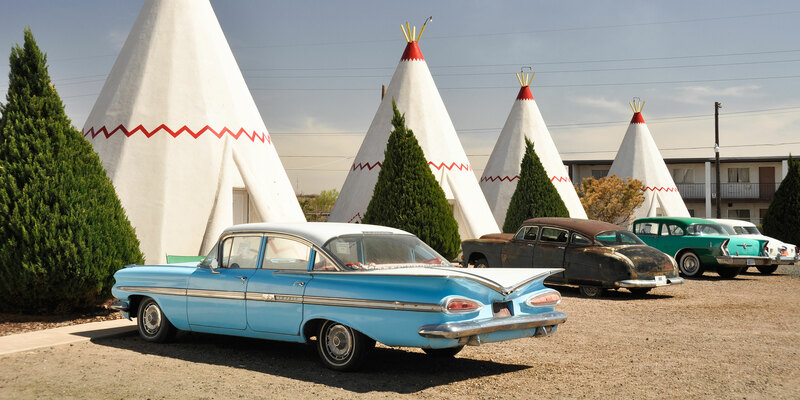 Take a road trip along Route 66, which inspired the movies' small towns and big landscapes. No, Radiator Springs isn't real (except at Disneyland), but it's thought to be inspired by Peach Springs, Arizona. The Cozy Cone Motel isn't real either, but is modeled after Wigwam Hotels in Arizona and California. And some of the bridges seen in the films are inspired by real-life versions, including the Cyrus Avery Route 66 Memorial Bridge in Tulsa. You can also visit car-themed attractions along the way, such as Cadillac Ranch in Amarillo, Texas and Carhenge (a car replica of Stonehenge) in Alliance, Nebraska. In Disney's "Inside Out," we got to see what it's like to be inside of Riley's brain. In real life, you can actually climb through a two-story brain at the Franklin Institute in Philadelphia! Special effects respond to your footsteps as you walk through the structure, which also includes digital visualizations. Of course, Riley learned the importance of thinking with her heart, and you can also walk through The Giant Heart at this one-of-a-kind museum. "Coco," Disney Pixar's newest release, takes place in a fictional Mexican city. But it is inspired by the Mexican state of Oaxaca. Located in central Mexico, Oaxaca is filled with unique cultural experiences and festivals similar to those seen in the film -- including celebrations for Day of the Dead, a holiday that honors those who have passed on. Experience the celebrations just like the star of the movie, Miguel, with elaborate feasts, traditional costumes, colorful parades and live music everywhere. Other Oaxaca highlights include Monte Alban, a UNESCO World Heritage Site. The expansive ruins from the BC-era sit on a flat-mountain range, 6,000 feet above sea level. The natural cold spring, Hierve el Agua, also sits high in the mountains and features stone-like, natural infinity pools and petrified waterfalls. Hike along the mountain trails and then take a swim in the natural pools to cool off. The artwork, handcrafted goods (black pottery, woven rugs and more) and the outstanding local cuisine (don't miss the Oaxaca cheese!) will have your family loving the Land of the Living just as much as Miguel does.